Rackspace Managed Cloud Computing. All the tools you need to build scalable websites, and applications. Work for Rackspace Managed Cloud? "Cloud service from Rackspace is the best we have ever tried"
We have tried a number of cloud services before hearing about Rackspace. Honestly, after trying their and using their private cloud service, we're sold. I could go on and on about how much we like the service but I'll outline the most important points for us. Rackspace's cloud is very reliable and flexible. You can get stuff done very quickly without infrastructure constraints. Next, they have wonderful team of experts. They helped us design our environment and they also maintain it for us. Whenever there's a problem or we need to help with something, they're a great support (and fast!). During our time with the service, we have never experienced an outage. They even made a plan for our needs so we do not pay more for something we don't need. And so on. As I wrote in the part with positives, we love this service so there's nothing we dislike, really. If you're looking for a managed cloud service, this is the right choice for you! You even get a free trial period so there's really nothing to think about. You give nothing to try something amazing which will definitely suit your needs. We needed to create complex workloads using VMware technology and self-service portals. We were looking for a 100% reliability and help with setting the service up which we found with Rackspace. Benefits are really in everything as I wrote in the positives. The Rackspace Managed Cloud platform allowed us to eliminate dedicated hardware servers and start using a robust, flexible platform for our (and our client's) web services delivery needs. We can almost instantly spin up the configuration we need, easily change configurations as needed, and never be paying for more "servers" than we need. To date we have had no issues with the service, its availability, its performance, or its features. If there is something we can't do on Rackspace's cloud platform we have not found it yet. 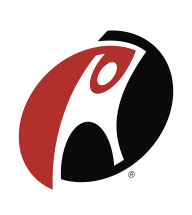 Rackspace is a great company to do business with and they provide cutting edge services. Their support is beyond comparison.... both extremely responsive and proactive. We have been a Rackspace client for over 10 years and we recommend their services without hesitation. Instead of buying dedicated servers and putting them in a colo space, Rackspace's Managed Cloud has given us the flexibility and online tools we need to access the server infrastructure we require just in time. They offer cloud servers in a huge variety of configurations, support all operating systems, include CDN services with their Cloud Files service, and in general have made our lives that much easier. Cost savings are clearly realized by creating just the right amount or server horsepower we need, and not overbuying. Configurations can easily be changed (increased or decreased) so if we need more resources for a particular event, they are quickly brought online. When the event is over, we can easily roll back to where we were. "Great support for a good service"
Uptime is great, support actually wants to help you and they've put an easy-to-use front-end on the cloud services. Bandwidth prices get costly fast. If you're running a server for hosting websites that receive decent traffic, you will likely want to use a dedicated box. Carefully calculate your projected bandwidth needs, you may be able to save money by going with a dedicated box. Website, email asset and API hosting. "A must-have for almost everything"
It is a service focused on support and simplicity. You don't have to deal with the complexity the competitors can offer. You can move to a single cloud server and scale when your website go viral. Keep paying affordable bills until you really need more resources. Maybe a better documentation could be great, but don't worry about it because the support is awesome. It's not the first time I receive a call just to hear about my needs and improve the service. They really care about your problems and experience, not your money. Use it when you are ready, don't waste time and money just testing it. You are not going to need hours to deploy your solutions because the service is ready to use without specific a specific installation procedure. Don't hesitate about contacting support, you are paying for it and they are waiting for you to help. It's a different company focused on getting a better experience based on a good support. We are using Rackspace Managed Cloud services to solve scalability problems without having any expert in our team. The managed service "is" our scalability expert (for any kind of web applications). We are also moving to CDN in order to deliver a better experience to our customers. "Most Secure Managed Cloud Server Ever!" We have been using Rackspace since about 5 years now and we are very pleased with its services. We used PowerVPS in the past, but then we got a lot of issues. We moved to Rackspace and since then we do not get mush security issues. Rackspace Managed Cloud, lets us manage the servers and its services very easily. We have the admin power of rebooting the servers and fixing the issues as they arrive. It provides the secure ports and SSH panel to manage any activity on the server. Support team is really helpful and available when we need them! Sometime we need a little more consultancy when it comes to manage the bandwidth and limits of users. Rackspace team provides the details and the recommendations to improve the servers time to time but it can be improved. Rackspace is one of best cloud server. It is great service for business owners who has a number of websites to be hosted. In case you want to give best security to your websites, just go for Rackspace Cloud Servers. We host the business websites and want to keep the websites with no downtime. We need to make sure the sites are secure and accessible to users all the time! We have seen great benefits form Rackspace as our sites are always accessible to users and we do not have much security concerns. "A great solution for your own cloud"
The managed cloud has just enough features to test, deploy and maintain development, uat/stage and production servers/environments reliable and fast via web or using API and cloud tools. It is much easier to manage your cloud because you are not puzzled by hundreds of thousands of menus and other tools you might never use. The support team in managed cloud is awesome, they always responded quickly and provided the exact expected answers and help! Managed cloud to Public cloud firewall and networking setup could be hard to understand for non-technical people, it is also complicated to manage those rules. API sometimes returns errors without a clear reason, so you have to re-do the last step (and kill semi-provisioned machines, etc). This is probably a client-side issue, but this is also one of the things I didn't like. RackSpace doesn't pay much attention to open-source tools and libraries (like 'fog', for example), most of them do not support all the features, or are not working at all. When you have a cloud, you expect to provision it using automated tools/scripts, and open-source tools are very useful here. This is an awesome, easy to implement cloud solution. If you need a managed cloud, you won't get it wrong with Rackspace Managed Cloud! I design, install, provision, support and improve infrastructures for various clients, including e-commerce, blogging, and forums platforms. "Running large scale software integration testing on Rackspace Managed Xloud"
On a number of occasions I've spoken with Rackspace support. All of my issues have been resolved in a number of minutes whilst on the phone to one of the systems administrators. It's a real nice experience to be able to run complex, infrastructure-intensive integration tests on Rackspace with barely a hitch. ... in all honesty, not much. I am struggling to think of any issues I've had which I could describe as me having a dislike for. Everything I have asked of Rackspace Managed Cloud has met my expectations and requirements. Rackspace has met all of our business requirements as we strive to continue with development and provisioning of our open source middleware solution. We are interested in undertaking large scale, continuous integration testing of various NoSQL database solutions in order to validate our middleware software solution. Being able to replicate highly concurrent, active environments across a cluster of machines is critical to us further validating our product. We use JClouds to undertake all of the Rackspace services orchestration then Chef to undertake software provisioning. We've realized that with some carefully crafted code we can utilize the power and flexibility of Rackspace to satisfy our business and software requirements. "Solid reliability, good pricing, competitive features"
One of the best things about Rackspace, and probably the one thing that they champion internally is their support. Getting someone on the phone is super easy. Each time I've called, I've gotten someone that is US based, has a personality, and is intelligent about what you need help with. Their product offering is geared towards advanced power users (sys admins, engineering types) and they provide support with people who are competent in that area. Not only are they responsive via phone, but also via chat, and their ticket system. If you need support, Rackspace will provide it. Their pricing isn't the cheapest, but it's not the most expensive either. It's a great value, and if support is important to you, you needn't bother looking any further for a cloud infrastructure provider. Their stability is great, even when the hypervisor scares in late 2014/early 2015 came about with bugs that allowed attackers to break out of their virtual machine, they were responsive and orchestrated a huge upgrade across all their infrastructure. They achieved it in such a way that allowed us to avoid down time, despite our host machines needing to be rebooted. When they applied a second patch that required reboot later that year, they were able to achieve it without us having to do anything because they automatically migrated our virtual machines to different hosts. I can't say enough about how great Rackspace is. They treat their customers with respect, and it's evident in the amount of effort they put into supporting them. I would definitely recommend utilizing them if you're in the market for cloud based server infrastructure. Personally, I dislike having to log in to the web interface to do anything related to reading or creating support tickets. This is a minor annoyance, but being in the Rackspace interface isn't part of my day to day routine, so when I get ticket notifications (they create tickets for all communications), I can't read it in my e-mail. This is definitely a minor issue and certainly not a show stopper. Probably the biggest annoyance is that their automated backup service is rather limited. With the Rackspace offering, they allow you to schedule automatic backup image creation of servers and storage volumes attached to those servers. However, these backups are limited in size. At last check, it was something around 80GB. This is certainly large enough to clone your machine configuration and it must've been designed for that. If you need/want to backup your data, you'll have to roll your own backup solution (either using a 3rd party, or your own tools). One more dislike, the Cloud Files offering is incredibly slow. I/O on Cloud Files, when we were evaluating it, was so slow that it made it unusable for us. They may have rectified this in recent history, so if this is a sticking point for you - I'd advise you to do some more research. Be realistic about your requirements. When looking at cloud providers, it's easy to get big eyes and launch huge virtual machines with 60+GB of memory just because you can. These servers are expensive (relatively), and because of the nature of virtual machines, you don't need to start off with the biggest hardware you can. You can easily step up to the next level when the one you're at becomes a bottleneck. We started using Rackspace's Cloud offering in 2010 to host our MySQL database servers, after suffering 2 catastrophic crashes, and service unavailability, with dataloss on another provider within 30 days. "If you need managed services, Rackspace is right up there"
Rackspace are known for their fanatical support, and we found no exception to this rule. Their employees were friendly, helpful, and fast. The only downside of Rackspace Managed Cloud is the price, but you are getting a managed service from them. If you don't need managed services, then don't get a managed cloud :). If you need a managed cloud then Rackspace is a very good option to consider. If you don't have the in-house capability for it then they could be a great fit. We wanted reliable and solid hosting for our servers and storage in a secure environment. Rackspace provides solid uptime and network connectivity and we don't have any concerns about their security, unlike previous hosts we've been with. "Best managed cloud on the universe!" I used Rackspace with my previous organization. We used rackspace to manage our Linux based websites for our customers. It is really easy to manage the files and the data on the rackspace managed cloud. Rackspace provides the interface to organize the files and permissions and using rackspace account interface, one can easily install and update new scripts (like LAMP based tools etc.). With the managed cloud service, rackspace support is also available to help out all the time and there is no issue managing the server and services. I would also say, that rackspace is very secure and does not let hackers attack into the server easily. The only thing that they can provide a good training to manage services via SSH. As I am not string on linux so sometime running commands is not easy for me. But the webs interface helped me really well. I have seen a lot of benefits using Rackspace managed cloud. Most times people are worried about keeping the servers updated and safe. Rackspace managed cloud makes these very easy as their team is available to help out as needed. I would recommend using this server for sure. In my previous organization, we used rackspace to help out the customers with their online websites and online file storage. Rackspace has helped us meeting the objective and we were able to satisfy our customers with their online cloud storage needs. I haven't found a way to make it auto scalable spinning additional servers on demand. I believe it is really expensive compare to other solutions available. Hosting an e-commerce website that serves 300K page views in average per month and produces over 10M in revenue per year. Maintenance and Migration of the website has been efficient and relatively easy. "Reliable and Great Support Team"
When we were RackSpace users we had a lot of questions about certain setup processes so we spent a lot of time working with the support team. I can say they've got one of the top support teams in any software. They're all super knowledgeable and every single issue or question we've had has been resolved. On top of their support team I really trusted them when it came to reliability and stability. We never experienced downtime and never ran into bug issues. The documentation is also spot on, we were able to easily navigate the documentation and find exactly what they need. It's super clear even for a beginner. Overall we enjoyed our experience with the company. There's not much I really disliked about them. In the end the pricing was a little high for us and we ended up not using the cloud enough to get our money's worth. Other than that I do wish they had more options for automated backups. Really overall though you can go wrong with RackSpace. The price tag is on the higher end but what you get from their awesome support team and reliability makes it worth it. Just make sure you know what you need before you sign up. We ended up not needing everything that signed up for. Also make sure to read through their setup documentation and what goes into getting things up and running. We just needed a cloud storage solution that was incredibly easy to setup and reliable. We got just that with Rackspace. They're servers are all rock solid. I like how polished and usable Rackspace made their user interface. Anyone can provide managed cloud services, but Rackspace does it particularly well. Additionally, their customer service is excellent. I'm hard-pressed to find something I dislike with Rackspace Managed Cloud. It would be good to have a look at Rackspace's other service offerings to determine which best suits your needs. Rackspace Managed Cloud provides a great place for my client's web sites and applications to live, with little concern for lack of server resources. It is all quite easy to set up. "Just kind of recommendation "
It's good to know there's someone who's ready to taking care of your platform when you use their services, it's not you, your colleague, you do not have to spend additional money for what you should pay. I am living in Viet Nam and RackSpace do not have Data center here. This leads to low speed network between us the servers. It's reliable, easy to learn and excellent support service. My business relies on many small group of servers, it does not need to have a really powerful one but it must be reliable. That's what Rackspace manage cloud's strong point. "Rackspace Cloud Customer Service Rocks"
The customer service, either via phone, online chat, or the ticketing system, is so fast and helpful. Very knowledgeable people on staff. We have had some issues where out cloud environments have been compromised. Rackspace managed cloud has been very cost effective for us to use. We also use Rackspace Dedicated, and I prefer that a little better. Being able to move very quickly in turning up new servers is key. Not having to staff to support the machines internally has been a cost savings. "Familiar interface and easy to use"
Rackspace email interface is very similar to Ms Outlook. It allows for file structure, and search capabilities. There really is nothing to dislike about this product. There have been no Tech issues requiring support. Rackspace allows for large volumes of email to be received and stored for easy access later. "Reliable and affordable cloud hosting"
When it worked, it worked well, and it was generally pretty well thought out from an admin panel view. I had a lot of trouble with the RackSpace platform in general, including DNS issues, frequent database failures / timeouts, etc. There's a million options on the market. Personally, I don't think RS is the one I'd ever go with after my experience. None, I no longer use the product since the costs far outweighed the benefits. rackspace is okay but need more to do to compete with aws.Our servers go into read only mode sometimes and we have been facing this issue since long time.we are cordinating with rackspace about it but their response time and availability is very average. Customer service , escpecially about their availability and response time. "We have been using Rackspace for over 3 years for Exchange Email." Very easy to use, and setup. Customer service is always available and very helpful. We have been completely satisfied with every aspect of this product. So far we don't have any complaints. Our employees can use exchange with several devices. Our spam has significantly gone down. "Easy to use but more expensive than others"
The flexibility to have enterprise tools available but without the need for FTE's to support them. The help desk rocks. Nothing I feel needs to be improved from what I use. save the set up documents and help desk responses for future use by new users. Database management tool has been extremely helpful and made databases fun again. "Easy way to get started with Cloud Hosting"
Rackspace managed cloud makes it easy to setup and provision servers without requiring expertise in system administration. There is a limit to what Rackspace can do, it's not a replacement for a good Dev Ops person. We have used Rackspace for a SaaS product to power our API. I like the email platform. Easy to manage mail. It is hard to find what you are searching for in the email. I've used Rackspace for web/network hosting on several sites. Most recently it was to host videos posted on a site that had a decent amount of traffic. I was satisfied with speeds, stability, and pricing. I can recall once when my content was unavailable for a couple hours and I got the runaround from their support team regarding how it wasn't their fault. Otherwise, no complaints. If you are looking for cloud storage I would say give them a look. I would use them again. if you need to speak with an account rep, try looking at different companies. "Rackspace can save the day"
I've used rackspace cloud servers for a year or so now just for one off projects with great success. Simple, fast, and quite pleasant in dealing with their support. A few months ago I had a client have his site go viral. I spun up 4 web servers, a load balancer, and used a mysql cloud database to power the sites. It handled the load quickly and easily (over 250k visitors in 24 hours). Best part: after the site stopped being viral I took down the extra servers. Total cost: $25. We had some issues with their 1st gen cloud servers not being able to resize. We contacted their online chat support and they were able to help me out in a few minutes. I'd also like to see some sort of realtime "here is my bill so far". They bill monthly but you don't know exactly how much you will get billed till that day. Check out their 2nd generation API, it's pretty awesome the power they give you over their servers. We've scripted a few simple backups but their is quite a bit more there. "Best Hosting Provider on the net!" Resizing a cloud server can tend to hang for an hour once in a while. Not an issue and only dislike I can think of. These guys are amazing. Yes. Do it. Get it. It will save you time and money and you will love working with them! Rackspace allows a user to go live within days (if not sooner). Their solution makes them an excellent contendor in the Public Cloud Solution Ring. Again, like all public cloud solutions, if you are not smart about management and watching what you have, the price can go up very quickly. Check them out over Amazon, you will be pleasantly surprised. "Set up our service in minutes and never needed support yet." Easy to setup as well as administer. Great solution for quickly and easily getting things running. 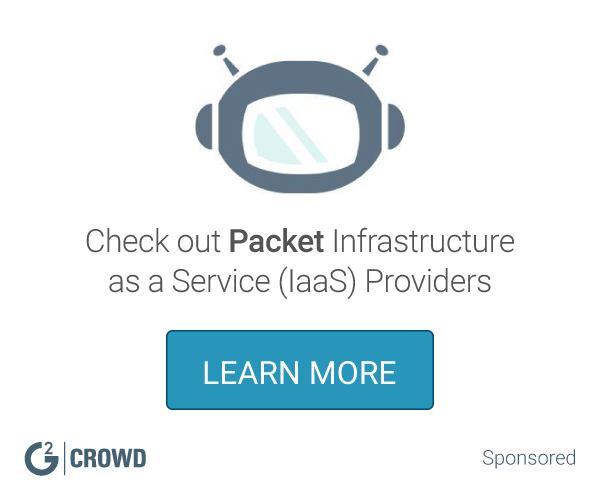 "RackSpace has a public Cloud that works well!" I only make recommendations based on our clients needs. But the clients who are using Rackspace for Public Cloud are pretty happy using it at this point and time. Learning about Rackspace Managed Cloud? * We monitor all Rackspace Managed Cloud reviews to prevent fraudulent reviews and keep review quality high. We do not post reviews by company employees or direct competitors. Validated reviews require the user to submit a screenshot of the product containing their user ID, in order to verify a user is an actual user of the product. Hi there! Are you looking to implement a solution like Rackspace?